The state-owned Russian tanker company Sovcomflot revealed this week that its profits are sinking, and that despite months of effort Morgan Stanley, Sovcomflot’s banker and broker, has been unable to attract market demand for its shares. 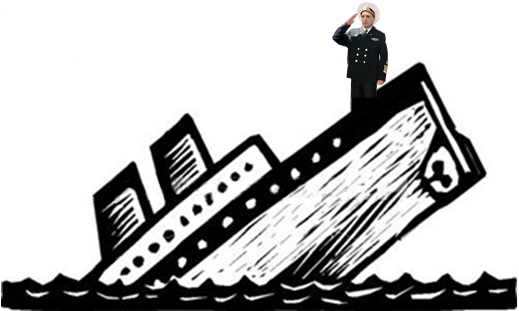 As the much delayed privatization and initial public offering (IPO) of Sovcomflot shares fail once more, the company board chairman, Kremlin chief of staff Sergei Naryshkin, remains at his post. This is despite the decree signed on April 2 by President Dmitry Medvedev requiring senior state officials to vacate their seats on state company boards. On September 12, Sovcomflot announced that it had convened a meeting of the 9-member board of directors. The annual report of the company for last year omits to identify the names of last year’s board members, except for Naryshkin as chairman. However, a news release following the company’s annual general meeting on June 30, reports the appointments of the new board. There are no changes in board membership since the AGM held on June 29, 2010. Naryshkin retains the chairmanship, and the state shareholding is represented by two deputy ministers (Energy and Transport), plus Nikolai Tokarev, chief executive of Transneft, the state oil pipeline company. Sovcomflot’s London spokesman was asked to explain why Naryshkin remains chairman of the board in apparent violation of the Medvedev decree. Details of this order can be found here. Deputy Prime Minister Igor Sechin and Finance Minister Alexei Kudrin are among the high Russian officials to publicly announce their resignations from state company boards after Medvedev issued his decree. Sovcomflot has not responded. The Kremlin was also asked to clarify Naryshkin’s compliance with the presidential order. There has been no reply. Morgan Stanley, which has been given the government’s mandate to sell Sovcomflot shares, is represented on the board by the managing director of the bank’s Moscow branch, Elena Titova. She is classified by Sovcomflot as an independent director. UBS and UFG are the other financial houses represented on the ship company board. David Moorhouse, who was chairman of Lloyds Register of London until January of this year, is also classified as an independent director. Lloyds Register acts as the class society for certification and inspection of part of Sovcomflot’s fleet, competing for this lucrative fee-paying business with Det Norske Veritas (DNV), the American Bureau of Shipping (ABS), and other inspection and classification companies. Of the nine new oil and product tankers Sovcomflot currently shows on its fleet list as under construction, Lloyds Register under Moorhouse took the lion’s share of seven, while DNV has just two. Moorhouse is currently chairman of the UK maritime services promotional agency, Maritime London. Sergei Frank, chief executive of Sovcomflot, also retains his board seat, despite recent rulings by the UK High Court in London condemning him as “dishonest” and identifying evidence that during Sovcomflot’s 6-year litigation against two former chief executives and a former chartering partner, Frank had given perjured testimony and violated other UK laws. The High Court judgements represent a stumbling block for the current Sovcomflot board in a share listing on the London Stock Exchange, under the fit and proper rule of the UK Listing Authority. The High Court has refused leave for the company to appeal the rulings, and the UK Court of Appeal is scheduled to decide a final appeal application shortly. The two former chief executives, Dmitry Skarga and Tagir Izmailov, have been awarded more than £13 million in costs and indemnities; while Yury Nikitin, the charterer who has been acquitted on most of the charges laid against him, is suing for recovery of more than $180 million in costs and damages from the litigation. **Earnings before interest, tax, depreciation and amortisation. Voyage costs and commissions – one of the sore points in Sovcomflot’s London claims – hit $248.4 million in the first half of 2011; that is a jump of 37% over the same period of 2010. Debt, including long-term and short-term bank loans and other liabilities, have risen by 10% to $6.7 billion. The company accounts report what Sovcomflot says it has received or will earn from its litigation campaign, but not the costs of pursuing the campaign, nor the much larger sums which the High Court is considering for compensation of those vindicated by the judgements to date. According to Note 5 of the financial report, “receivables under the High Court judgement award” come to $55.7 million. The court order for compensation to Skarga and Izmailov of £13.5 million ($21 million) is not reported as a contingent obligation, nor Nikitin’s $180 million claim filed and pending in court. The costs of lawyers, detectives and others engaged by Frank in the London litigation are estimated at more than $50 million; these are not accounted for in the financial balance. At minimum, the net loss to Sovcomflot is likely to be at least $15 million. If the High Court compensates Nikitin for financial losses suffered through six years of injunctions and asset freezes, the penalty for the litigation may reach $200 million.